Diigo Chrome extension is very easy to use. 1. If you are not signed-in to diigo, clicking the diigo button will bring you to a sign-in page. 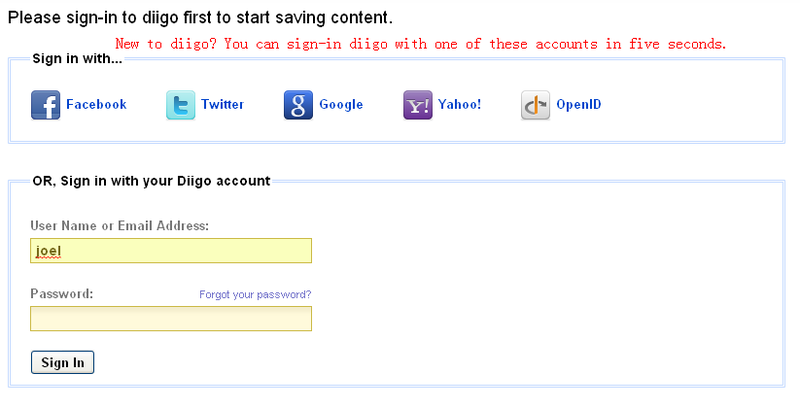 Even if you don't have a diigo account, you can sign-in with other accounts. 2. 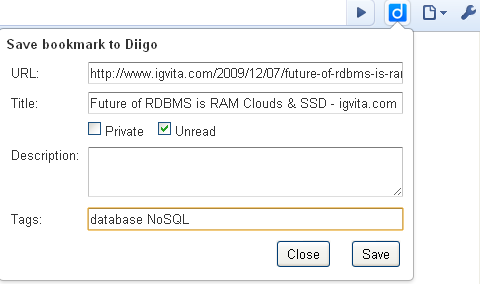 After you sign-in to diigo, clicking the diigo button will popup a bookmark window. 3. 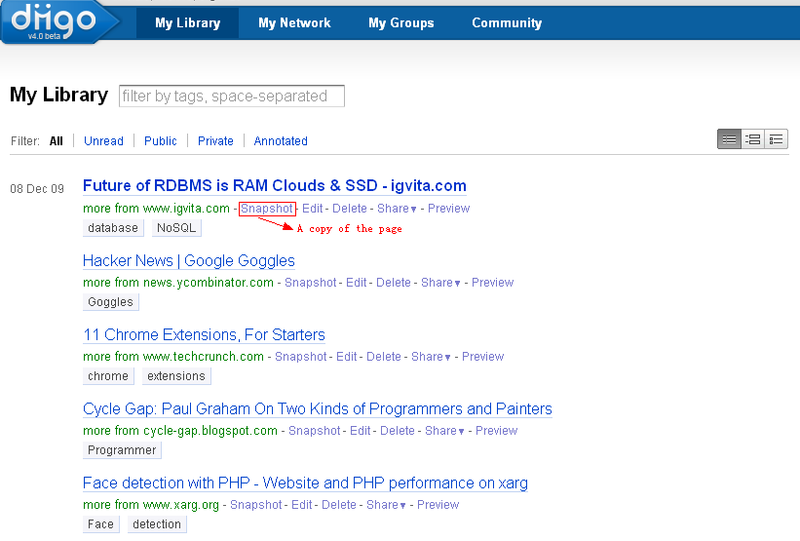 Diigo not only saves the URL, title, tags, it also gets the copy of the page. 4. 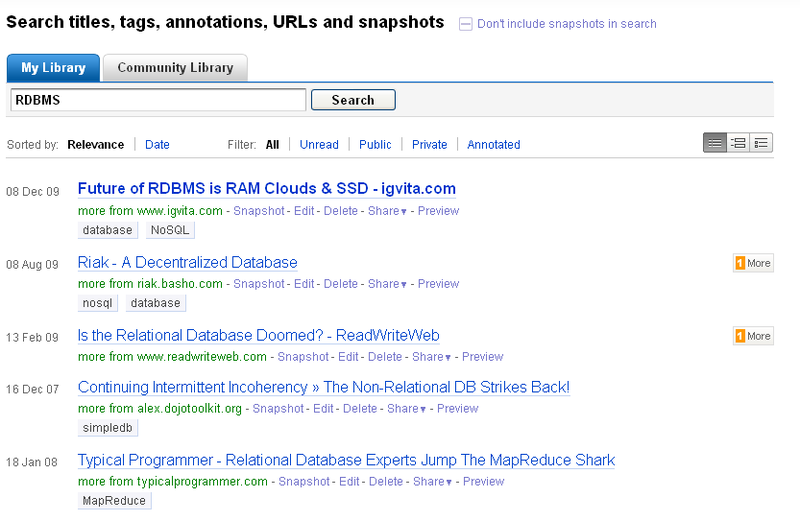 You can conduct full text search for all your bookmarks.